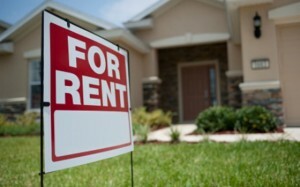 Home > Blog > Renters Insurance-Do I need it? So you moved into your first apartment, maybe it's a house or a unit with multiple renters. Maybe you've been renting for some time and you are wondering if your stuff is covered should anything happen? Many renters believe their personal property is covered by the building owner and their insurance policy. Wrong! The building owner's insurance will cover mostly the building or structure. So you have a neighbor that starts a kitchen fire and the building is damaged along with the stuff in your apartment from fire and smoke. But unless you have Renters insurance the landlord's policy is not going to pay for your items. Renters insurance can give you coverage for your items but it can provide much more protection that that. You can also get liability coverage if someone would slip and fall down your stairs or you hit a golf ball causing damage to a person or car. Renters insurance can also give you extra living expenses because your apartment is damaged, such as helping to pay additional rents for a temporary home. If your still not sold on renter's insurance consider theft. Someone breaks into your apartment and steals your stuff, without renters insurance you would not be able to be reimbursed. You can also schedule valuable items such as jewelry so that you would have coverage for misplacing or losing a ring or earrings. Renters insurance is a valuable policy that can give you valuable protection for a reasonable cost. Most renters polices will cost between $125 to $200 per year. So for about $10 per month you can be assured if something happens you have the protection you need. Call us today at 920-898-5731 and we help find out what your cost would be and discuss any questions you may have.